For most of its history, Okinawa was not a part of Japan. Known as the Ryukyu Kingdom for 450 years (1429-1879), this small chain of islands is geographically closer to Taipei, Shanghai, Manila and Seoul than it is to Tokyo. While thriving for centuries as a strategic transit hub between other Asian nations, Ryuku managed to maintain a highly unique culture and set of traditions. One such Okinawan tradition is the giving of ‘Fusa Yubiwa’ (literary meaning ‘tassel rings’, Okinawan wedding rings). During the age of the Ryukyu Kingdom, it was a custom for members of nobility to give their daughters a set of rings on their wedding day. Though we use the term ‘wedding ring’, Fusa Yubiwa actually has little in common with the wedding rings that Western brides now receive. 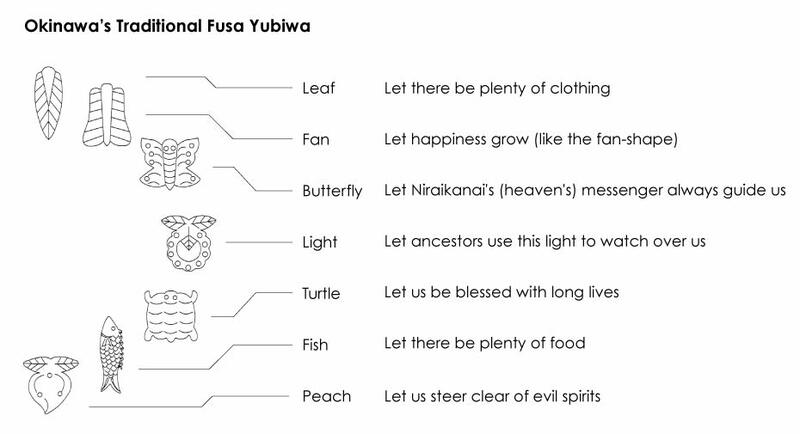 Consisting of 3 rings, seven symbolic charms and the chains that keep them together, a Fusa Yubiwa is more like a tassel. Representing seven different prayers for happiness, each charm has a distinct design and purpose. Together, they represent the importance of happiness and harmony in the lives of Okinawan people. The above designs are the work of Okinawan metalwork artisan Tomoko Kishaba. She has successfully replicated these seven authentic patterns from a 100-year-old Fusa Yubiwa. Kishaba has also created a collection of 12 original designs. Though eight of the new designs are based on traditional Okinawan patterns, the inspiration for the other four came from other parts of Asia. Each is a traditional symbol for good luck in the culture it came from. The tradition of giving Fusa Yubiwa to celebrate marriages has become uncommon. But then again, so have Ryukyu-style royal weddings. Once fancied by the noble class of the kingdom for their intricate designs and high production, Fusa Yubiwa have until recently remained an accessory just for formal occasions. To make them affordable and easier to wear, Kishaba decided to reinvent their design. Her first idea was to treat each charm separately, making the accessory less of a burden to wear. 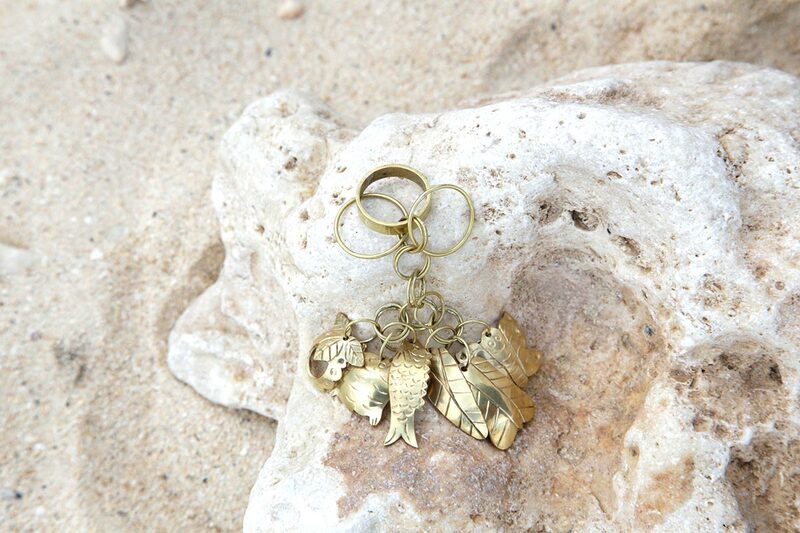 Instead of a set of seven charms dangling from your finger, you can now wear individual pieces as earrings or even bundle a few of your favorite charms together and wear them as a pendant. To sell her highly versatile accessories, Kishaba then established the Okinawa-based brand ‘ci.cafu’. We think you’ll like what they have to offer. I have realized that traditions change form in order to maintain their essence. When Tomoko Kishaba was studying at a Japanese craft school, she came to associate ‘being traditional’ with a lack of freedom. It meant doing things how they had always been done – not as she wanted to do them. The turning point came when Kishaba was studying ‘traditional’ jewelry making in Florence, Italy. She was shocked to see how her classmates enjoyed revising and reinterpreting the jewelry techniques that they had inherited. Anyone can touch it. Anyone can have their own way of enjoying it. I felt liberated from my old idea of ‘tradition’. I saw how tradition literally changed its form to allow for the new. Unless a craft is useful, it will inevitably be lost. Conversely, as long as something maintains it's usefulness, artisans will keep on making them. This is the equation that makes a tradition sustainable. 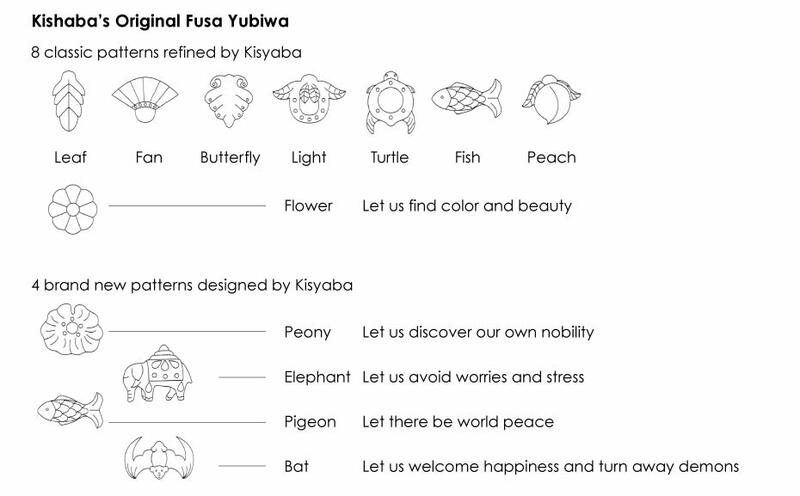 By freeing charms from the chains of traditional Fusa Yubiwa, Kishaba has made them easier to use. She says, I have realized that traditions change form in order to maintain their essence. Hoping for happiness is universal. And hope is the essence of my homeland's wonderful culture. It is the tradition that I want to pass on to future generations. May these unique symbols of luck bring some happiness to your days as well.